Study: 50% of Canadians unaware they suffer from hypertension. 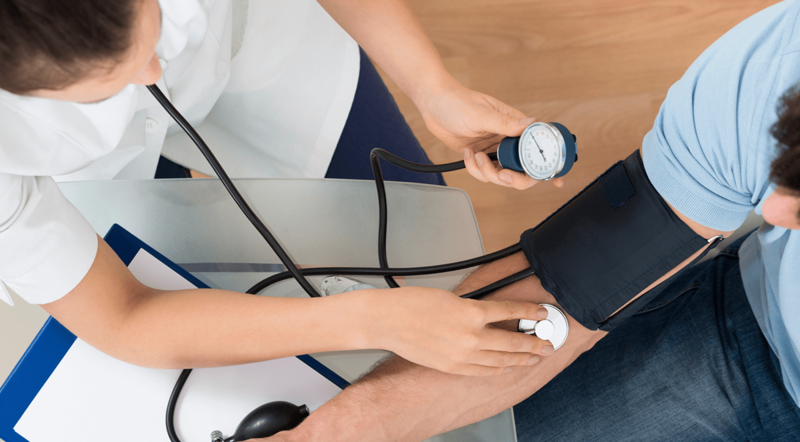 A new study published in the American Journal of Hypertension focuses on the “silent” nature of hypertension (high blood pressure) and suggests why the gravity and severity of hypertension is often misunderstood. In order to detect a general awareness of hypertension, researchers set up mobile clinics at shopping malls, workplaces, hospitals, and community centers in a North American city. The clinics measured 1,097 volunteers’ blood pressure. Researchers found that 50% of the participants had high blood pressure. An unexpectedly large number of participants (2%) showed hypertensive results that are of a high health risk. Most of these people were not on medical treatment, were unaware of their hypertensive state, and were unwilling to acknowledge the severity of their high blood pressure readings. The researchers concluded that the reasons for resistance included ignorance of health consequences of hypertension and being unaware of how to manage hypertension properly. SRC-1 Regulates Blood Pressure and Aortic Stiffness in Female Mice. Is High Blood Pressure Self-Protection for the Brain? Weighing Scale-Based Pulse Transit Time vs Conventional Pulse Arrival Time. Evaluation of a short home blood pressure measurement in an outpatient population of hypertensives.